This is part 2 in the “Tessa Teaches Trance” trance training series. 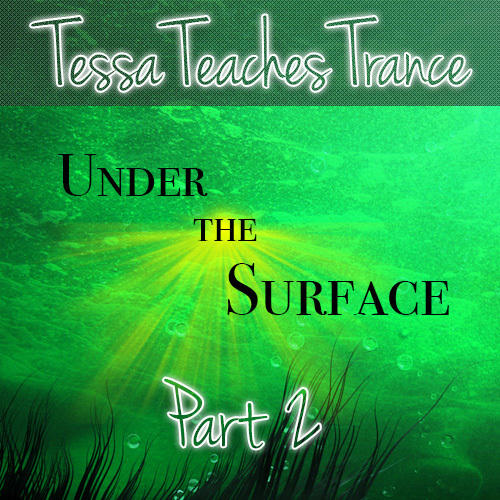 This installment, Under The Surface, is all about depth. It helps you to discover what depth of hypnotic trance feels like and how you can insure that you go deeper into blissful trance each and every time a dominant woman starts to speak those sweet, soothing words of hypnosis into your willing ears. I’ll be guiding you down into the deepest of trances, showing you that hypnotic depth knows no limits. I do consider Tessa Teaches Trance: Trust Fall, the first of this series, to be a pre-requisite for listening to this file. This series builds upon itself, adding trancing tools to your skillset with each and every installment.